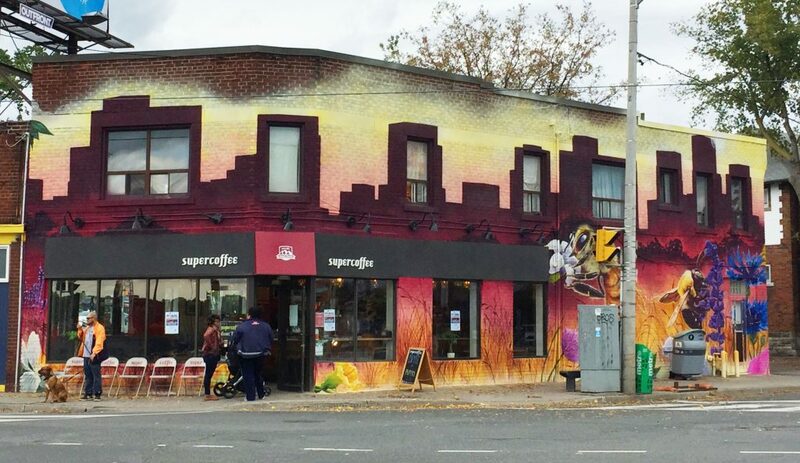 Throughout September and October 2017 artist Nick Sweetman worked to transform the exterior of supercoffee with a colourful and dynamic mural featuring six different types of bees and 15 different plants. 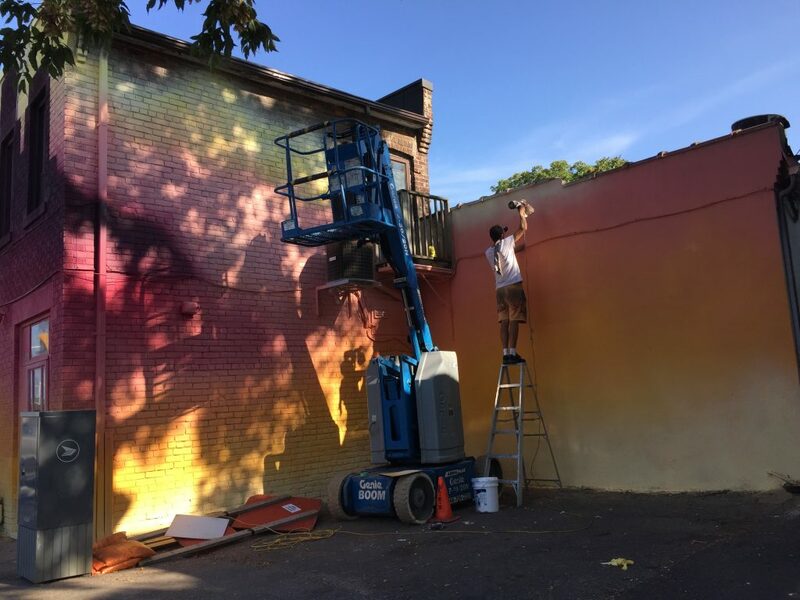 This vibrant world is set against an urban skyscape, and the mural explores the intersection between human-made spaces and natural forces, and encourages us to consider our relationship with the planet and its non-human inhabitants. 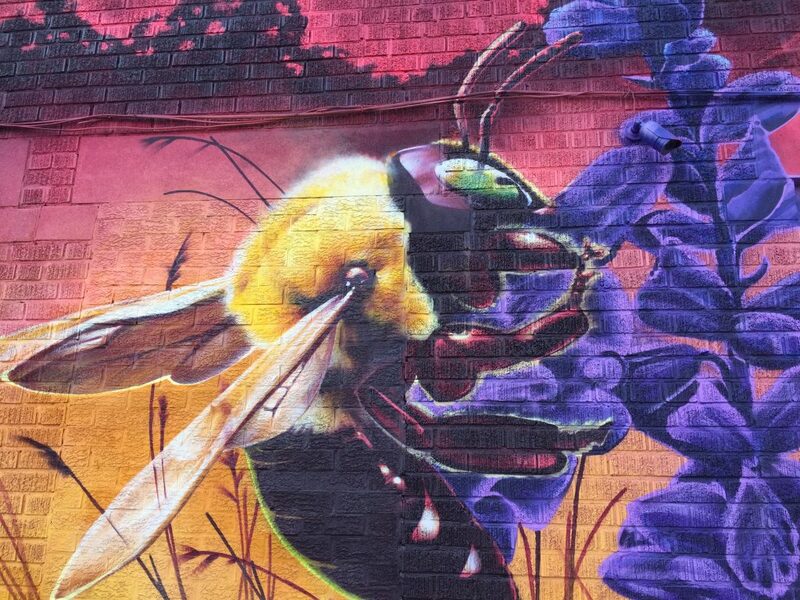 Toronto is one of the most biodiverse areas in the world for bees, with over 300 species found in the city and surrounding area. River corridors like the Humber and Black Creek flourish with wild flowers and native plants – important habitat for native pollinators. 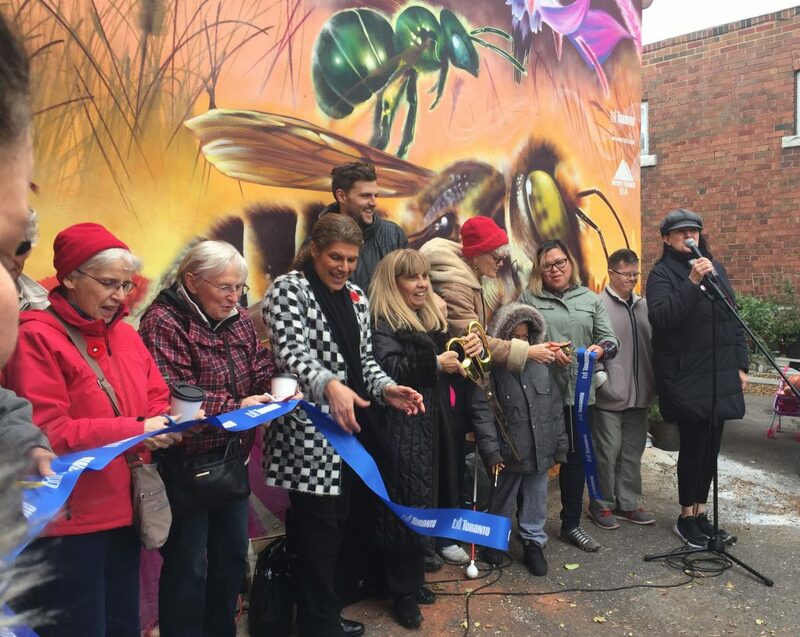 The Pollinators is the catalyst for a beautification and education initiative that will see Weston Road home to native and pollinator-friendly plantings and landscaping. 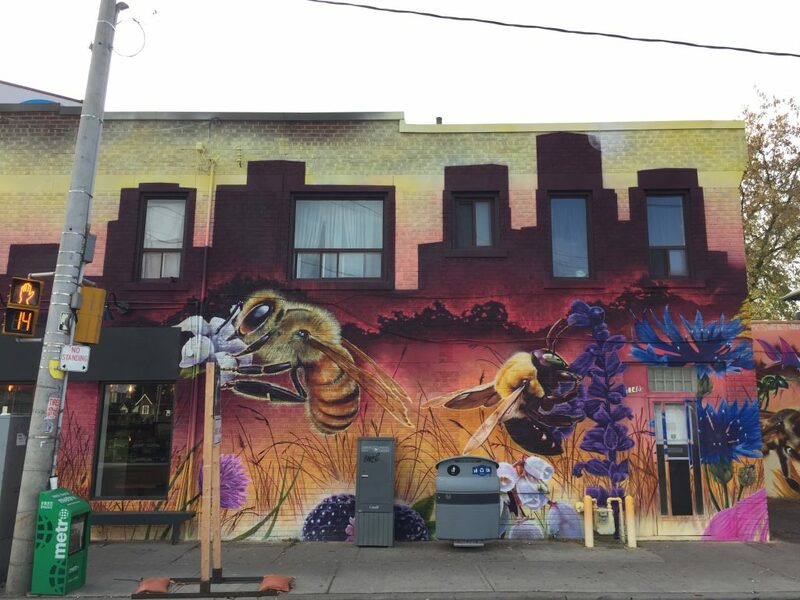 The Pollinators is also reflective of the social energy, dynamism and diversity of this busy corner of Weston and Eglinton, the heart of Mount Dennis. 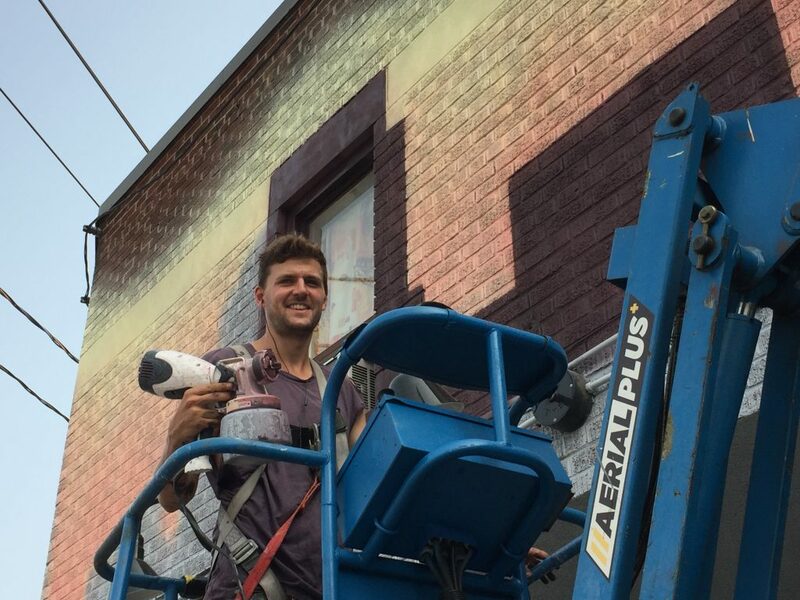 The Pollinators was commissioned by the Mount Dennis Business Improvement Area and was funded by the City of Toronto’s Mural Street Art Program and Metrolinx. We celebrated on November 4 with music, coffee, hot chocolate and plants and honey courtesy Restorative Landscapes and Alter Eden Bespoke Gardens and Hive Learning.